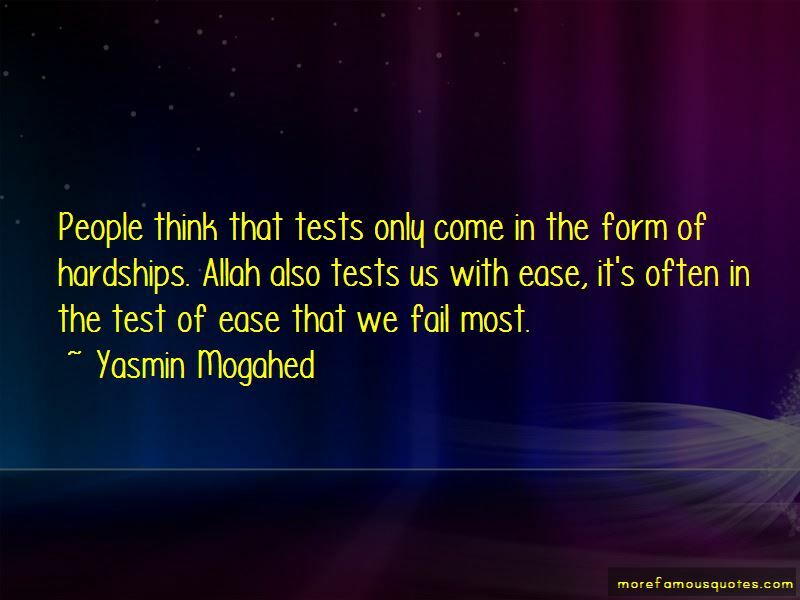 Enjoy the top 236 famous quotes, sayings and quotations by Yasmin Mogahed. There's a powerful tool that allows you to distinguish between what's Real and what's just a phase. “She stood up. Something inside her had changed. "It was finally time," she thought. It was finally time to leave the past in the past. And move on. She took her first step. It felt like walking for the first time. It was strange to not be chained anymore. 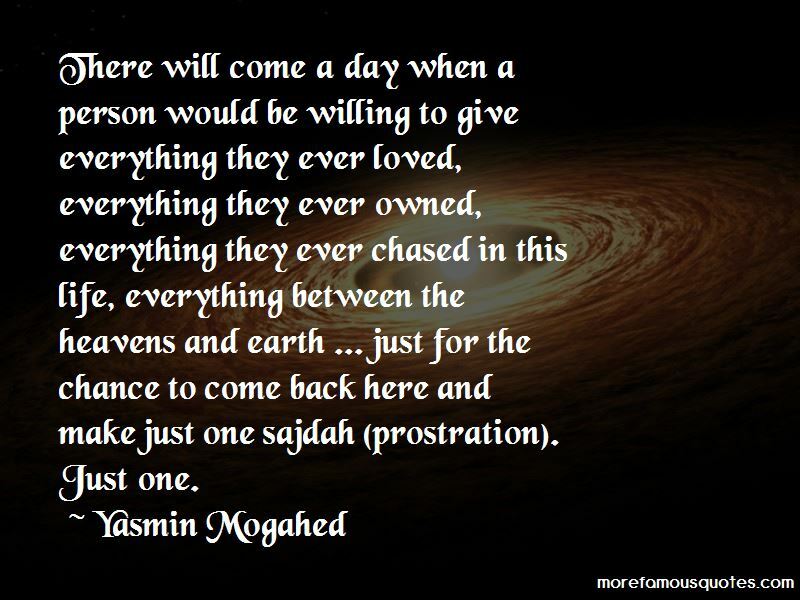 There will come a day when a person would be willing to give everything they ever loved, everything they ever owned, everything they ever chased in this life, everything between the heavens and earth ... just for the chance to come back here and make just one sajdah (prostration). Just one. Do your part, but stop trying to steer your destiny. You're not in charge. “There are internal chains and external chains. All the external chains in the world won't enslave you, if you are free inside. And all the external 'freedom' in the world won't liberate you, if you are chained inside. “Arrogance is actually just ignorance. Ignorance of what you really are in relation to the world-but most of all in relation to God. When you're in trouble don't depend on yourself. Don't depend on people. Depend on God. Don't let this Ramadan be just a holiday of rituals. Don't finish reading the Quran without it transforming you. Don't feed your body at suhoor, but starve your heart of Qiyam. Don't reduce this downpour of mercy to just a month of sweets and lavish iftars. Seek Him, you will find. Take a sincere step towards change, transformation, redemption. If you do, you will find Him in front of you. Find Him this month. He's been there all along. Closer than your jugular vein. Look and you'll find. Walk and you'll arrive. 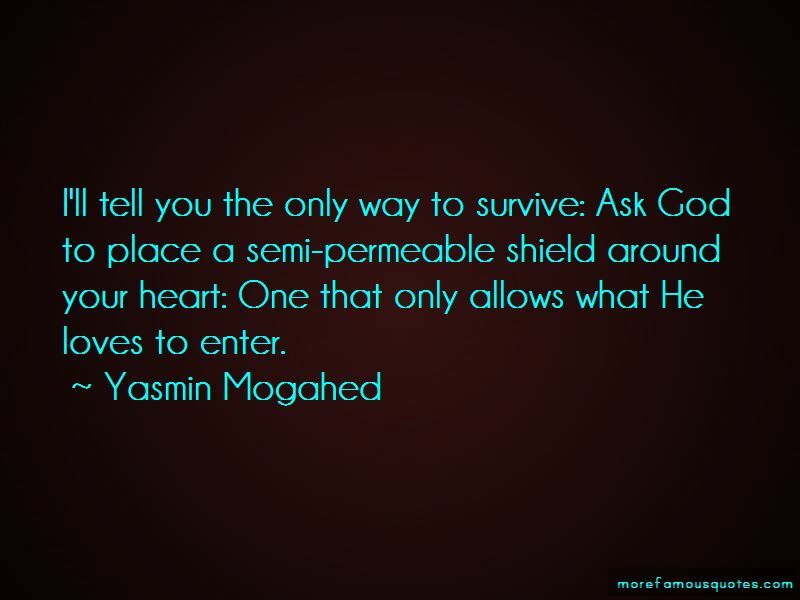 Want to see more pictures of Yasmin Mogahed quotes? 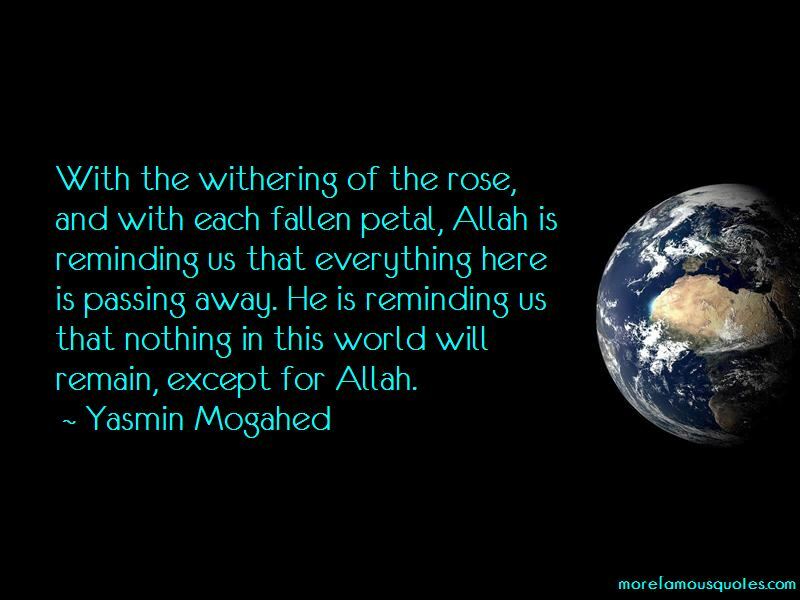 Click on image of Yasmin Mogahed quotes to view full size.